Riad Viva Client Comments, Reviews and Testimonials. 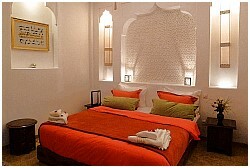 Book Riad Viva Today with Hip Morocco - Holiday Accommodation in Marrakech, Morocco. "A secret oasis of calm in a highly regarded area of the Marrakech medina"
Welcome to Riad Viva, a place of tranquility and luxury and wondrous attention to detail located in a highly prized area of the Marrakech medina. Designed in highly tasteful palace style, in accordance with its royal neighbours, Riad Viva offers guests a number of unique Moroccan experiences and hand selected activities. The large roof terrace offers a unique experience with breathtaking views of the nearby Koutoubia Mosque, heated swimming pool ( a rarity in Marrakech ), spacious seating areas and a custom made dining quarter that can be covered according to the time of year. The beautifully presented onsite hammam and massage room is exclusive for guests of the Riad complete with professional therapist on hand to make your vibrant experience in Marrakech a relaxing completion. 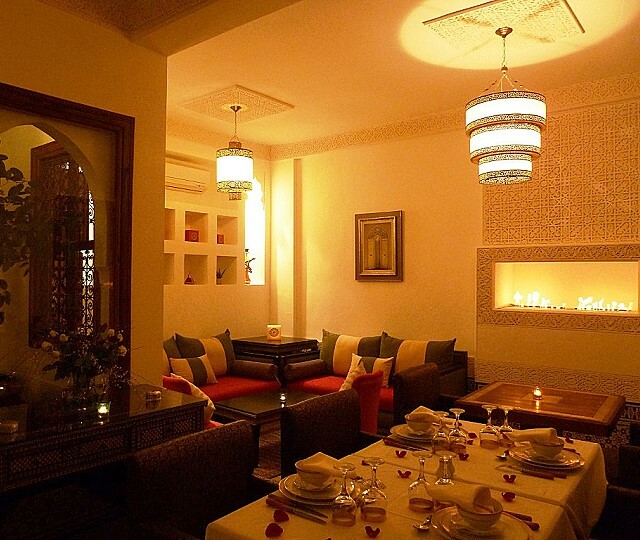 Many guests choose to dine in Riad Viva due to its exquisite cuisine and beautiful varied dining areas. The salon provides guests with a cosy area radiating with charm to enjoy a relaxing aperitif or a personal intimate or more collective meal. Riad Viva is situated in a tranquil area of the Medina, specifically selected by the King for its location and within minutes of the famous Jemaa El Fna square. 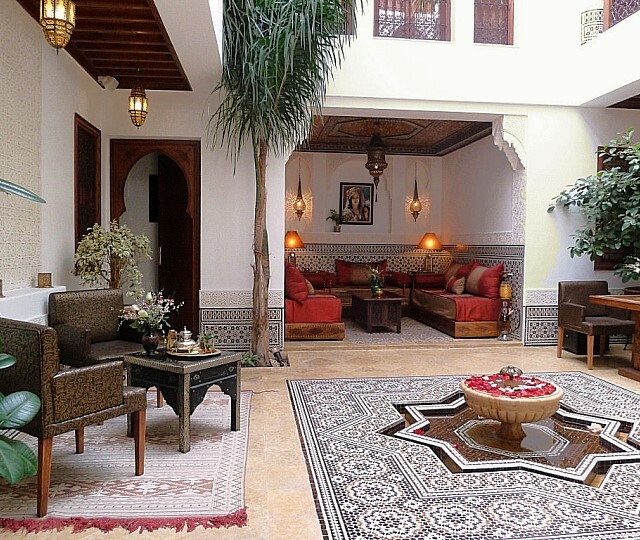 With quality professional and personal service in a Riad of highly thought after attention to detail, Riad Viva offers guests a wondrous all round experience in Marrakech at very good value. Beautiful freshly prepared and presented Moroccan food to order is offered for guests of Riad Viva to be sensually enjoyed among beautiful surroundings. A all round Moroccan cuisine experience from ingredients shopping with one of our riad chefs to the guidance and practice through all the beautiful subtulties of Moroccan cooking all in very personalised style. 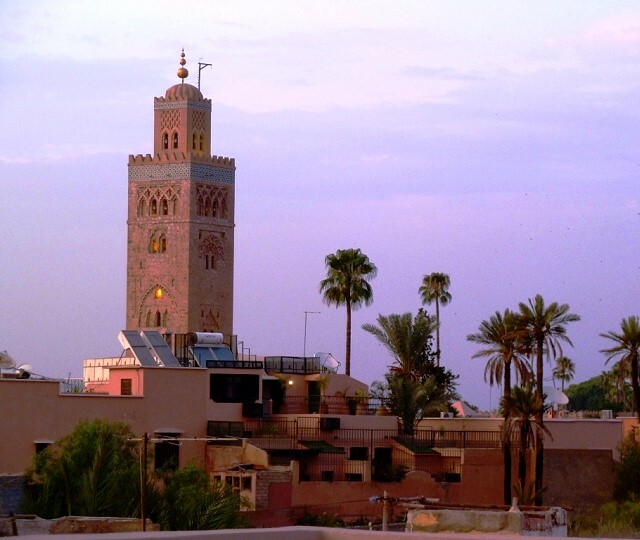 Descover the secret Marrakech through the eyes of a local and understand all that is Marrakech. Bespoke tours can be organised to suite your specific interests. "We had a wonderful experience here. The rooms are well kept and the staff go above and beyond. The riad organised several extra activities and trips (the cooking day is a must and the trip to Ourika Valley). Breakfast in the morning was lovely and the view was brilliant with a short walk to the main square." "The Raid Viva is simply glorious. This Riad has been decorated with love and complete attention to detail and the pool area and upstairs terrace are amazing. This attention to detail is extended in every form, from Aziza and the whole team to all their guests. Nothing is a problem for them as they are willing and able to accommodate"
"My husband and I booked this Riad as part of my 60th birthday celebrations as a stay in a Riad in Marrakech was on my "to do" list in retirement. 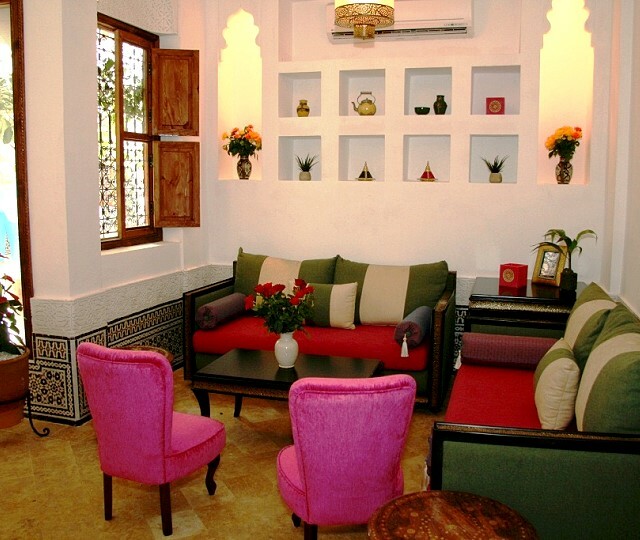 We were attracted to the Viva because of its beautiful traditional interior and were not disappointed. We were met at the train station and efficiently taken to the Riad. We had pre ordered an evening meal which was taken on the lovely terrace. It was very good and the wine a reasonable price." 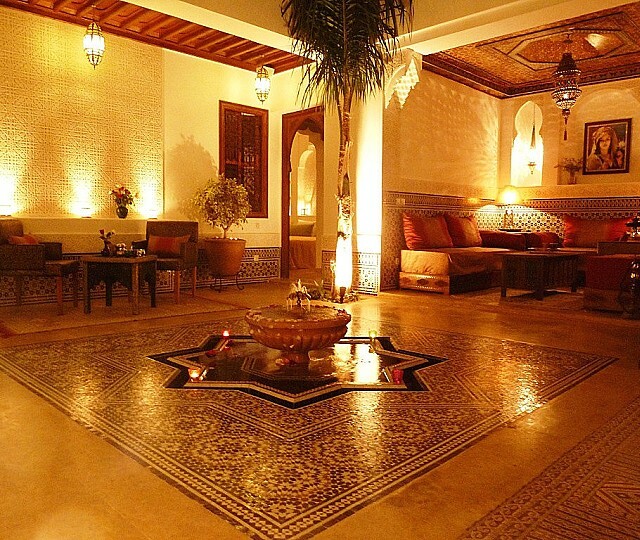 "Riad Viva was everything that we were looking for in a hotel. The place itself, whilst small, is full of character and charm. The hotel staff are friendly and really can't do enough for you. We went to them regularly for advice on local attractions, resteraunts etc and they were more than happy to help us out." "A delightful oasis, centrally located and tastefully decorated with all the aminities you wish for a trip to this colorful and pittoresque city. very helpful and friendly staff offering excellent cuisine and even massage. the top floor open-air lounge with pool and breathtaking view offers all the relaxation before and after a busy day of sight-seeing"
"All the staff where so helpful and friendly! We always felt like we were the only one there even if the place was full!!! The food was great(I'm Moroccan, so I dont get easily impressed)"
"The free hip Marrakech App has proved amazing for our clients. It gives them confidence to navigate the medina knowing they can always find their way back our house, even with NO data roaming switched on. 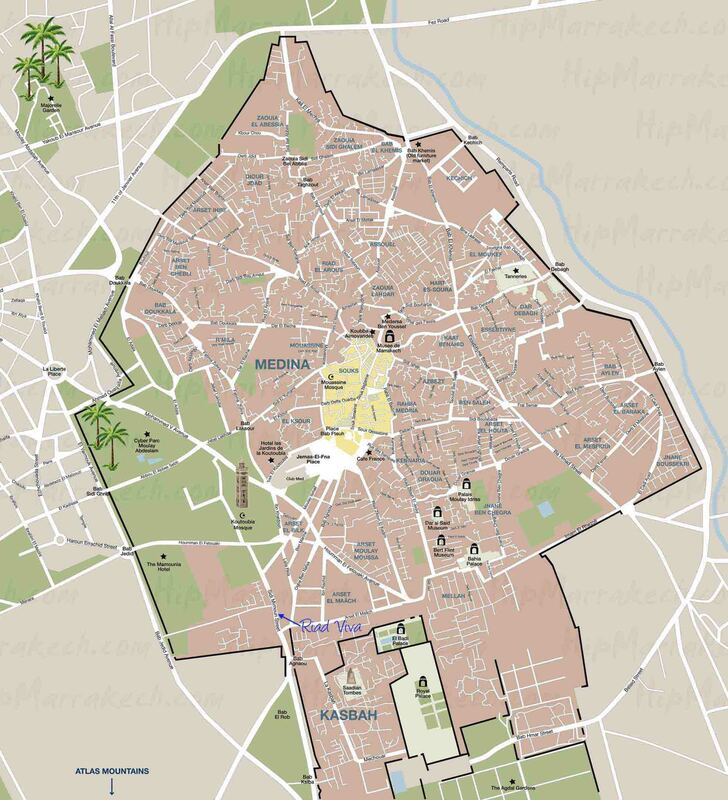 Further it locates many restaurants in Marrakech that our guests like (some of which give discounts to those with the App), and then helps them find their way back to the riad easily. Further, they can also book excursions in or around Marrakech at short notice." Locacted in the tranquil Royal district of the southern Medina neighbouring the Kings El Badi Palace and historically diverse Jewish Mellah quarter. Only 5 minutes walk to the infamous Jemaa El Fna and the iconic Koutoubia Mosque. One of our spacious suites that offer visitors a sensual and romantic experience accompanied by a large lounge area and bathroom with spacious bath for all your possible needs. The entrance to the suite is on the first floor by a exquisite, ornate and traditional royal hand carved door. The Rose Suite has the option of accommodating three of four people and comes with all you could need to make your stay in Marrakech an experience to remember. This prized suite is beautifully crafted with ornate decor and possesses a traditional Moroccan sitting room for your pleasure. The suite can accommodate a couple wanting a large private space or three or four people. 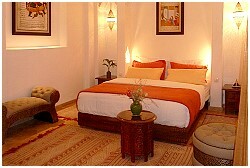 Room features: Large bathroom along with air conditioning, television and free WiFi. 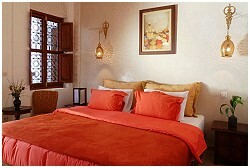 This spacious room comes with a cosy sitting room for those days where the wonders of Marrakech have taken their toll. This fragrant room is perfect for a couple or two or three individuals. Room features: Individual air conditioning, large separately heated bathroom, WiFi and television for your comfort and convenience. 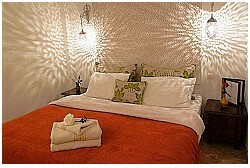 Our Lavende room possesses an intimate and highly valued feel to it. A relaxing living area is situated in the room that allows an extra privacy from the beautiful, ornate yet humble patio and terrace. Room features: Complete with a big bathroom, air conditioning, WiFi and television. Room features: Fully air conditioned, complete with free WiFi and television. 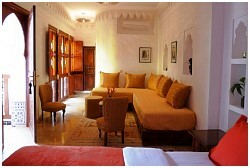 Bright and welcoming on the first floor of Riad Viva, Narcisse, as its mythological name suggests, is a beautiful room. Narcisse can be set up as a double or a large twin. Room facilities: Air conditioning, a large bathroom, television and free WiFi. 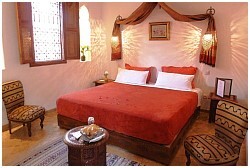 Beautiful, sensual and exotic room that makes for a wonderful stay in Riad Viva. With the possibility of being set up as a twin, our Jasmin room and leaves a lasting sweet memory of your time in Marrakech. Room features: En suite bathroom, air conditioning, Wifi and television. 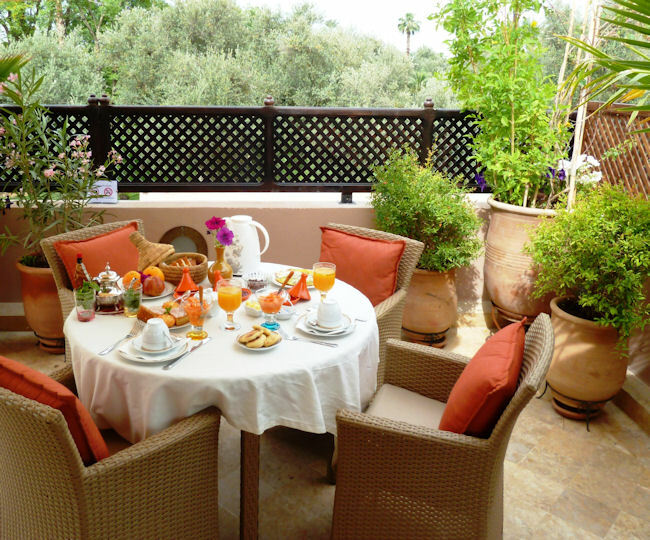 The base rate price at Riad Viva is in pounds, euros, or Moroccan dirhams and exchange rates are approximate.